University of Iowa freshman Cailie Furlong was studying online Wednesday — until she was blocked from the UI network. Her computer, along with around 350 other Mac computers on campus, had been infected with the Flashback virus. UI Chief Information Security Officer Jane Drews said computers received the virus from an infected website. Once installed, the virus allows its creator to access personal information such as account passwords. "It's something to take seriously," she said. Concern has been serious enough for the UI Information Technology Services to block infected Macs from accessing the campus wireless network. The UI's intrusion-detection system detects the Flashback virus — which accesses computers by exploiting a security flaw in Java — by catching the network activity of machines trying to access botnet, a network of hacked computers. UI freshman Max Dehio also noticed his computer had been blocked Wednesday. He said the university IT services told him it will reformat every infected Mac on campus in order to remove the virus. Dehio said he was surprised by the block. "I think the university should send out an email before it kicks you off the network," he said. Drews said some students with Macs should take precautions by getting the most current operating system — OS10.7 — and running software updates, installing antivirus software, and turning on firewall programs. Because reformatting deletes everything on a computer, UI computer-science Associate Professor Doug Jones recommended students back up any important information. "In general, the important thing to do is keep backups of anything that matters to you," he said. "[Because] a good thing to do if your computer does get infected is to wipe everything." Cases such as the Flashback virus represent a decrease in antivirus effectiveness over the past few years, Jones said — especially for Macs, which are not considered as vulnerable to viruses as PCs. "It's sort of disturbing that Macintoshes are being targeted now," he said. Drews said Apple released a software update Tuesday to prevent Mac computers from being infected by the virus. UI ITS is testing the software to see if it clears the virus completely, she said. If the software is effective, she said, the university will take that approach instead of reformatting and reloading infected computers. Furlong said UI computer services were able to save all her documents and pictures, but everything else was gone. "I couldn't do my homework last night," she said. "I couldn't even work in the ITC because it is all saved on my laptop." Dehio said he completed all of his homework earlier in the week but was still concerned about the virus spreading around end-of-semester deadlines. "I'm losing the time that I should be studying and researching for my essays," he said. Security firm Intego has discovered a new variant of the Flashback malware, called Flashback.S. This new variant continues to make use of the Java vulnerability that Apple patched earlier this month. After installation, the malware then goes on to delete all files and folders in the ~/Library/Caches/Java/cache folder in order to try to avoid detection. Interestingly, this malware checks to see if Intego VirusBarrier X6, Apple’s Xcode development platform, or Little Snitch are installed on the Mac. If it finds any one of these programs installed it will abort the installation. All that’s needed to become infected with this malware is for the Mac user to visit a website serving the malicious code (which are believed to be hacked WordPress blogs) using the Safari browser. It’s that simple. there’s nothing to click on and no password prompt. Flashback infections are falling, but there are obviously enough Mac users out there who have not applied the Java patch to their system to make it worthwhile for the bad guys to develop and release this new variant. Don’t be one of those people! If you’ve not done so already, you need to patch your system immediately! The easiest way to do this is to fire up Software Update and bring in all the updates your system needs. If you’ve already patched your system, congratulations. You’re safe. However, there are still a few steps that you might lie to take to give yourself added protections. First, I recommend that you download and install antivirus software. Sophos Anti-Virus for Mac Home Edition and ClamXav 2 are both excellent products and won’t set you back a dime. If you’d rather go for a paid-for solution then I suggest that you take a look at Intego’s VirusBarrier X6 or Internet Security Barrier X6. Then, I recommend disabling Java in your Mac’s web browser. If you don’t use Java – and not many people do nowadays, which is why Apple doesn’t include it with OS X 10.7 ‘Lion’ – then I recommend uninstalling it completely so you get rid of a serious source of vulnerabilities. Contrary to reports by several security companies, the Flashback botnet is not shrinking, the Russian antivirus firm that first reported the massive infection three weeks ago claims. Dr. Web, which earlier this month was the first to report the largest-ever successful malware attack against Apple's OS X, said Friday that the pool of Flashback-infected Macs still hovers around the 650,000 mark, and that infections are continuing. Earlier this week, Symantec said the Flashback botnet had shrunk by 60 percent and was down to 142,000 machines. 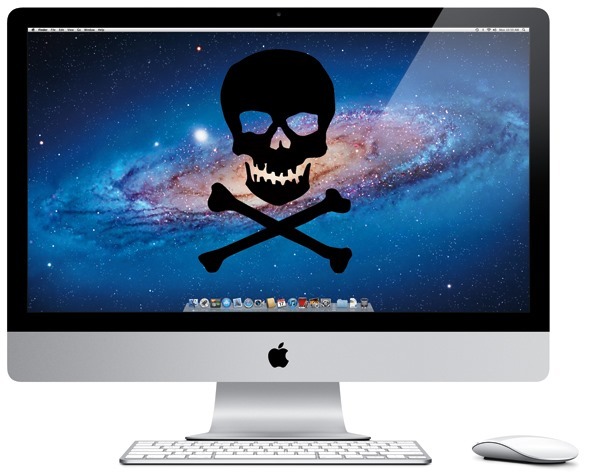 Kaspersky claimed that its count registered only 30,000 infected Macs. Summary: A new Mac OS X Trojan referred to as Backdoor.OSX.SabPub.a or SX/Sabpab-A is also exploiting Java vulnerabilities in a way that requires no user interaction. It is being used in targeted attacks. After infecting a given Mac, this Trojan is like most: it connects to a remote website using HTTP in typical command and control (C&C) fashion to fetch instructions from remote hackers telling it what to do. The backdoor contains functionality to take screenshots of the user’s current session, upload and download files, as well as execute commands remotely on the infected machine. Encrypted logs are sent back to the control server, so the hackers can monitor activity. The Java exploits appear to be pretty standard, but have been obfuscated using ZelixKlassMasterto avoid detection by anti-malware products. The low number of infections and its backdoor functionality indicates that it is most likely used in targeted attacks. The good news is this means that this Trojan is not believed to be anything as widespread as Flashback, and if you’ve downloaded and installed the latest software updates from Apple that patch the Java vulnerabilities (or disabled Java), you’re safe. The bad news is these Trojans will just keep coming, likely at an increasing rate. Apple and five of the publishing industry’s top firms were accused of working together to fix prices on e-books in a Justice Department suit Wednesday. Three publishers — Hachette, Simon and Schuster and HarperCollins — agreed to settle. Apple, Penguin Group and Macmillan did not agree to settle. Macmillan’s chief executive said Wednesday that the firm would fight the charges in court. In its complaint, the Justice Department lays out a narrative of collusion at the highest levels of the tech giant and some of the nation’s biggest publishing houses. The filing is filled with accounts of high-priced lunches, phone calls between chief executives and barbs thrown at the “holdout major publisher,” likely Random House, which took longer to switch to Apple’s agency model. - The complaints turned to fury when Amazon announced that it would let copyright holders publish their books directly through the online retailer. - The suit accuses Penguin and Shanks of taking lead in criticizing a “holdout major publisher,” telling that publisher that it was “not helping” the group. According to the complaint, Jobs refused to sell books from the holdout publisher unless it “agreed to an agency relationship substantially similar” to Apple’s arrangements with the other companies. - Justice has also presented evidence that the publishers agreed to sign on to the agency model only if all did so together, and that two CEOs admitted under oath that they had called other publishers “specifically to learn” whether they would sign with Apple before the iPad launch. Apple has released an urgent patch that will fix a security hole in its Mac operating system that has allowed some 30,000 Mac computers in Australia and more than 500,000 worldwide to be infected with malicious software (malware ). The critical update to Apple's version of Java for Mac OS X plugs at least a dozen security holes in the program and mends a flaw that attackers have recently pounced on to broadly deploy a malicious software program, known as Flashback Trojan, both on Microsoft's Windows and Apple's Mac operating systems. Flashback Trojan's most recent variant (it has been around since 2011) self installs after users visit legitimate websites that have been infected to distribute the program - a process known as drive-by download. 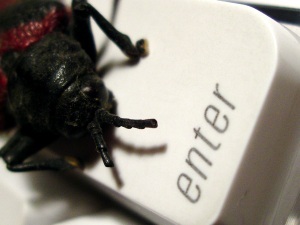 Once installed, the malware sniffs data traffic from the computer in search for user names and passwords. The update , Java for OS X Lion 2012-001 and Java for Mac OS X 10.6 Update 7, sews up an extremely serious security vulnerability (CVE-2012-0507 ) that miscreants recently rolled into automated exploit kits designed to deploy malware to Windows users. But in the past few days, information has surfaced to suggest that the same flaw has been used with great success by the Flashback Trojan to infect large numbers of Mac computers with malware. The revelations come from Russian security firm Dr.Web, which reports that the Flashback Trojan has successfully infected more than 550,000 Macs (hat tip to Adrian Sanabria who wrote on his blog "(...) many Mac users have been lured into a false sense of security, and will be, or may already be, in for a rude awakening. Apple's marketing efforts are at least partially responsible for this."). Dr.Web's post is available in its Google translated version here. Flashback is an increasingly sophisticated malware strain that sniffs network traffic in search of user names and passwords. Early versions of it prompted Mac users to enter their password before it would run, but the most recent strains will happily infect vulnerable Mac systems without requiring a password, writes Ars Technica , among others. F-Secure has additional useful information on this Trojan attack here . As Ars notes, although Apple stopped bundling Java by default in OS X 10.7 (Lion), it offers instructions for downloading and installing the Oracle-developed software framework when users access webpages that use it. If you need Java on your Mac only for a specific application (such as OpenOffice), you can unplug it from the browser by disabling its plugin. In Safari, this can be done by clicking Preferences, and then the Security tab (uncheck "Enable Java"). In Google Chrome, open Preferences, and then type "Java" in the search box. Scroll down to the Plug-ins section, and click the link that says "Disable individual plug-ins." If you have Java installed, you should see a "disable" link underneath its listing. In Mozilla Firefox for Mac, click Tools, Add-ons, and disable the Java plugin(s). I can't stress this point strongly enough: If you don't need Java, remove it from your system, whether you are a Mac or Windows user. If you need further convincing of my reasons for this recommendation, I'd encourage you to browse through some of my past Java-related posts . Apple maintains its own version of Java, and as with this release, it has typically fallen unacceptably far behind Oracle in patching critical flaws in this heavily-targeted and cross-platform application. In 2009, I examined Apple's patch delays on Java and found that the company patched Java flaws on average about six months after official releases were made available by then-Java maintainer Sun. The current custodian of Java – Oracle Corp – first issued an update to plug this flaw and others back on February 17. I suppose Apple's performance on this front has improved, but its lackadaisical (and often plain puzzling ) response to patching dangerous security holes perpetuates the harmful myth that Mac users don't need to be concerned about malware attacks.